When I discovered Baby Bond and the fact you could find out the gender of your baby at 16 weeks, I had a quick chat with Si and we decided almost instantly to book a scan. My family all knew the scan date for the gender reveal at 20 weeks, so we thought it would be a nice surprise to not tell them about this one - and pop round and surprise them all early !! It didn't quite go to plan though as my Mum, Dad, Sister and her fiancé had planned a last minute trip away for the weekend - so the plan was to wait until they got back to tell them. I couldn't wait though and didn't like the thought of them not knowing, so we told them the plan and they were going to wait until they got back to find out.... that didn't go to plan either, but ill get back to that later. So anyway, we only had about 4 days to keep it quiet and it was crazy to get our heads around the fact we were going to know so soon! I have always just thought I would have a girl, thats why I wanted to find out, just so I could mentally prepare for a boy (obviously being happy either way) and Si wanted to know too so that was good ! 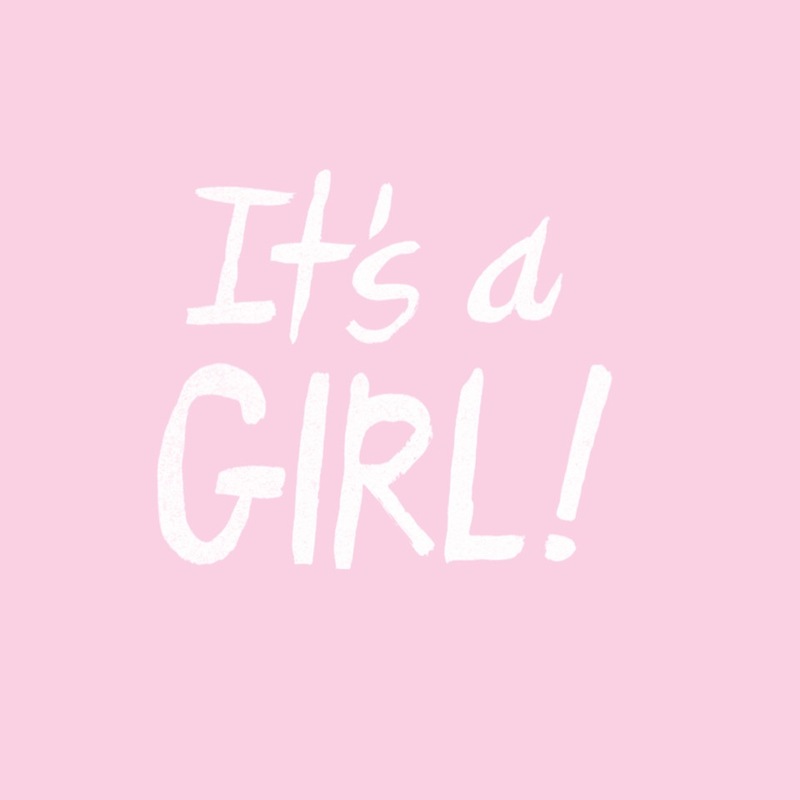 I couldn't sleep the night before I was SO excited and nervous, its such a huge deal knowing before I think as you won't get that 'surprise' when the baby is born so it's kind of a big deal at this point. Anyway, we turned up and were given lovely drinks whilst we waited to go through. We went to the Portsmouth one and it was really nice inside. The lady was really lovely and explained everything first and gave Si a picture of what we were looking for. We had about 10 minutes of the scan before we found out ... the baby was hiding and in a funny position so I had to move about quite a bit to get the right angle, but suddenly, she said..... 'Ooh I can see 3 little white lines......" this meant GIRL !! It's a girl !!! I couldn't believe it. Well I could, but I was just SO overwhelmed with happiness, it just felt SO right. She was wriggling about so much we got to watch her for another 10 minutes or so and we even bought a DVD of the scan - something SO precious to keep forever. Our families have LOVED watching this too. It's been so special to share it with them ! We left feeling so excited and I headed straight for John Lewis. I know it sounds silly and cliche but I had seen the most beautiful changing mat (I know its early) but I just couldn't bear to wait ! Click here to see how beautiful it is !! We also bought a cute little pink bunny to remember the day we found out. I had then made some blue & pink cards for the families so we could share the news. They had either you are going to have a Granddaughter, Grandson, Niece or Nephew and It's a girl or It's a boy too ! 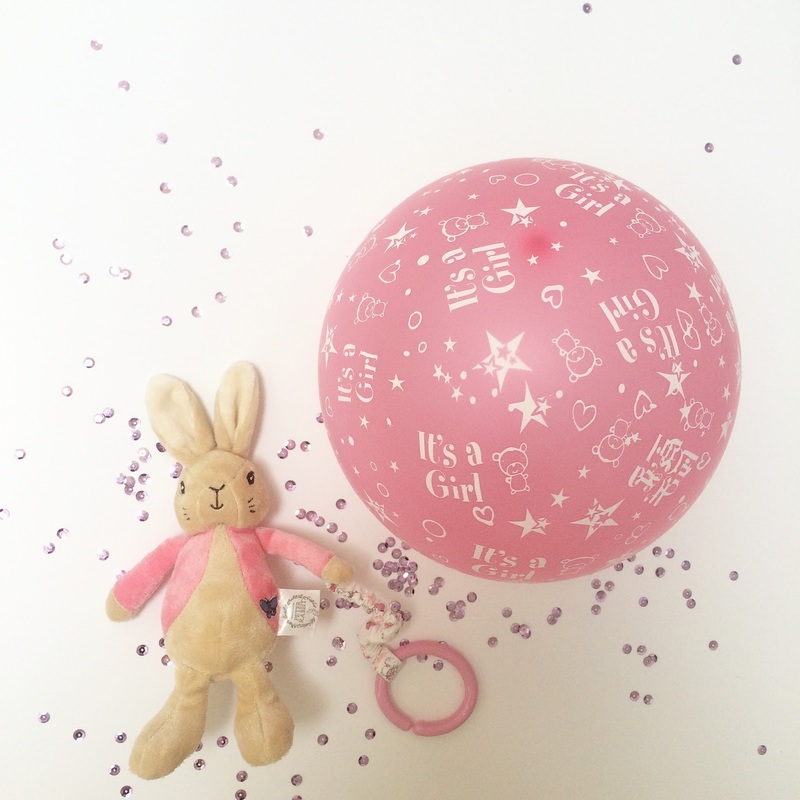 I also had balloons with either 'its a girl or 'its a boy' on them and sprinkles to put in the cards ! SO on to my family .... I COULD NOT, NOT TELL THEM - so we got them on Facetime and broke the happy news !! It wasn't quite how I wanted to tell them, but I couldn't know and have them not know - so we decided to tell them and they are SO happy and excited !! We are so so happy about meeting our little girl and just feel so blessed and excited for this journey ! 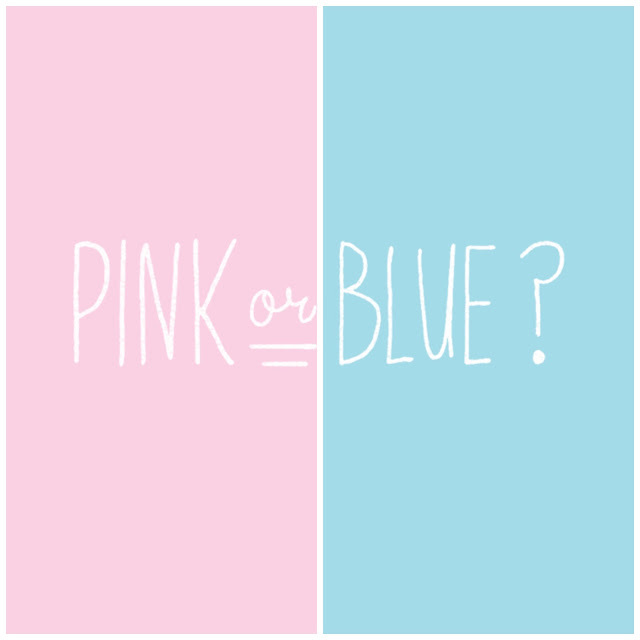 How did you reveal your gender if you found out ? I'd love to hear ! P.S If you would like to know prices check here for more info.